Americans Tsh and Kyle met and married in Kosovo. They lived as expats for most of a decade. They’ve been back in the States—now with three kids under ten—for four years, and while home is nice, they are filled with wanderlust and long to answer the call. Why not? The kids are all old enough to carry their own backpacks but still young enough to be uprooted, so a trip—a nine-months-long trip—is planned. At Home in the World follows their journey from China to New Zealand, Ethiopia to England, and more. They traverse bumpy roads, stand in awe before a waterfall that feels like the edge of the earth, and chase each other through three-foot-wide passageways in Venice. 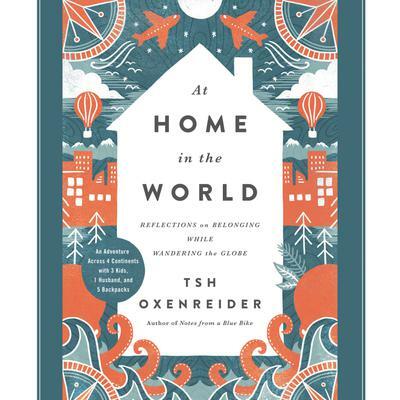 And all the while Tsh grapples with the concept of home, as she learns what it means to be lost—yet at home—in the world.